May 20, 2018 by Theresa B. Clarke 0 comments on "The 2018 Madison Digital Marketing Experience (MDME) Winner and Finalist"
Thirteen judges helped determine the winner and finalist for the 2018 Madison Digital Marketing Experience. To ensure a broad spectrum of perspectives, judges represented eight different companies with positions at all levels of digital marketing, from intern-level to C-level. Four judges have 10+ years of experience with SEM, five have 3-5 years, and four have 1-2 years. Judges carefully evaluated Pre-Campaign Strategy Reports and Post-Campaign Summary Reports from students in my Digital Marketing Practicum course. On behalf of the students and their clients, I thank the 2018 judging panel for their time and feedback on our first internal digital marketing competition at JMU. Overall, I’m very impressed with the effort that went into these reports and the results. It is clear that the teams spent a lot of time of their pre-campaign research and strategy, and even more time evaluating performance. I think any hiring manager would be blown away to see any of these team’s reports. I LOVE the use of Google Data Studio. For these students to come out of this course with real experience managing multi-channel strategies is such an achievement! I think the wider use of GDN, video, and shopping campaigns across all teams is a huge improvement. Kudos to all of the students who set the bar very high in the first ever MDME. These are awesome! Not only are the designs appealing and mostly easy to read through, they provided help context and data throughout. It’s great that they had enough flexibility to tell their own stories based on the unique characteristics or their clients, campaigns, and data. Google Data Studio is amazing and very cool to see it in action here. In general, these reports are very impressive. Well done! Very comprehensive and strategic. These aren’t too different from the reports we give our client. If I were these businesses I would not only want to keep running AdWords and take the team’s recommendations, I’d want to hire them to do it! 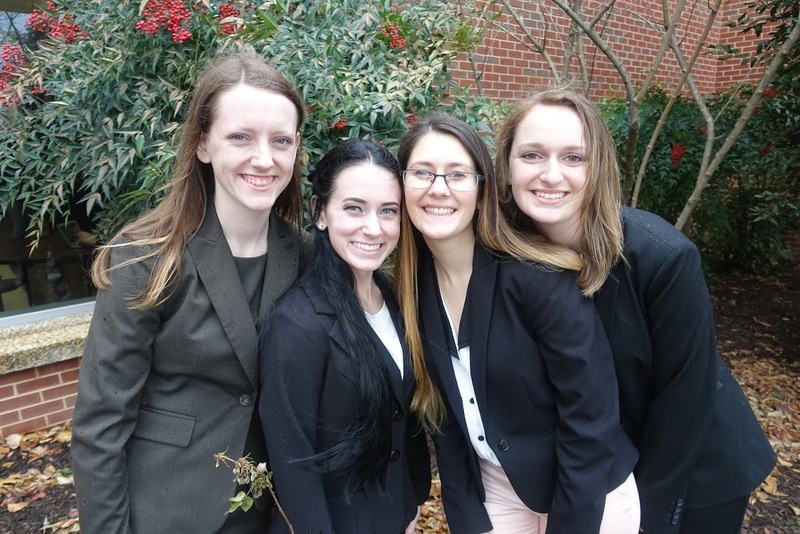 The 2018 MDME Finalist Award goes to Team Adler consisting of Jami Adler (Team Captain), Megan Charnovich, Alex Goldfarb, and Nicole Swindell for their work with Shenandoah Joe and the Cross Cultural Collaborative. Congratulations to all of my students from the MDME Class of 2018 for a very successful year.